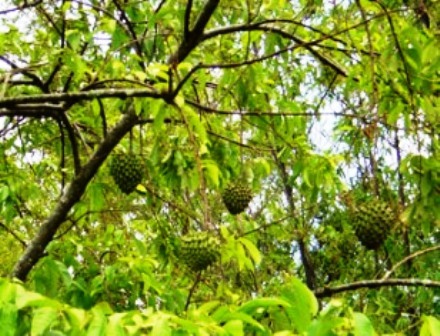 Synonyms: Annona biflora, Annona deliciosa, Annona mucosa, Annona obtusiflora, Annona pterocarpa, Annona reticulata var. 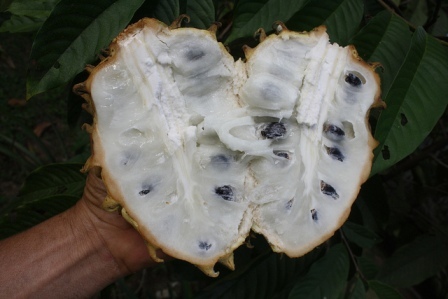 English Names: Wild sweet sop, wild cashina. Other names: Anón cimarrón, araticum pitaia, baba de moça, cachiman morveux, catarro de padre, fruta da condessa, rotzapfel. Biriba is believed to have originated in the Brazilian-Peruvian Amazon. But with times, it spread throughout the Caribbean, Central and South America. It is grown sporadically throughout the tropics on small scale in gardens. Biriba is rarely cultivated anywhere on a commercial scale. Biriba is a medium sized tree, growing to about 6-9 m tall, with open, spreading branches; leaves alternate, glossy green, large 10-35 cm long and 5-12 cm) wide; leaf blade soft and pliable, having prominent veins, sunken on upper surface. Flowers perfect, whitish, having a three lobed triangular form; and occurring singly or in pairs in the leaf axils. Fruits are spherical and large, 5-15 cm wide, yellowish, and with slight or very prominent protuberances. Pulp is whitish, juicy, aromatic and flavorful, with a creamy texture and a delicious sweet-sour balance. Seeds are shiny, brown and elliptical, 1.3 cm long. Biriba fruits do not have a long shelf life. Fruits start turning black and spoiling in 2-3 days after harvesting. Therefore commercial cultivation of this fruit is possible only around big cities only. Biriba is usually grown from seed, but superior cultivars may be propagated by grafting. 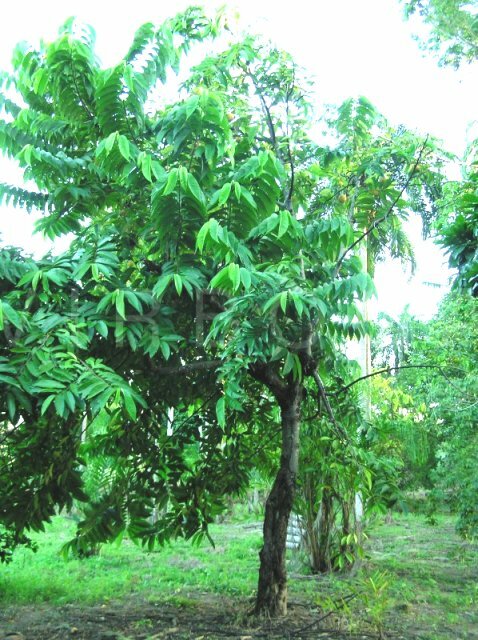 It can be grafted onto rootstocks of Annona montana or Annona glabra, which causes dwarfing. Seeds remain viable for up to 3 years if they are kept cool and dry. The trees grow well on acid soils in the wet tropics, and tolerate some shade, although it grows best in full sun. Biriba is fast growing, and begins to fruit at 3-4 years from seed. The fruits are attractive to birds and other animals, and should be harvested when they start to turn yellow, and ripened in a protected place. Mature fruits are soft and easily bruised. The only named selection referred to in the literature is Regnard. It was reported by P.J. Wester in 1917 as the best variety introduced into the Philippines. 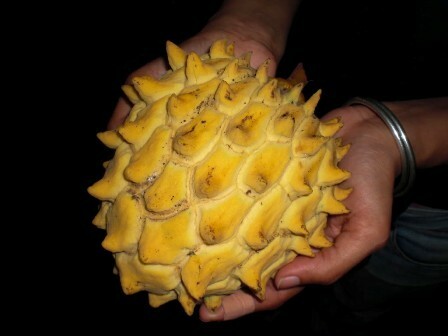 A large fruited type also exists in the western Amazon region. This has very pronounced points and the fruits weigh up to 4 kg. Pulp, which comprises 70% of the total fruit, is eaten fresh. It is also made into juices and deserts. The pulp is also fermented to make wine in Brazil. The seeds are used to make an insecticide by grinding and macerating in water. The wood of Biriba tree is yellow, hard, heavy, strong and is used for ribs for canoes, boat masts, boards and boxes. Biriba fruit is regarded as refrigerant, analeptic and antiscorbutic. The powdered seeds are said to be a remedy for enterocolitis.